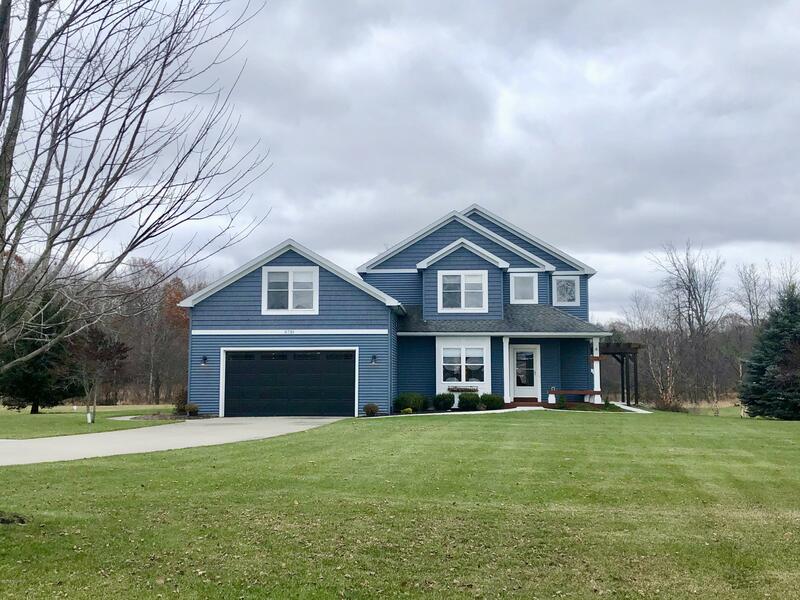 Built in 2007, this exquisite custom home sits on a large lot and features 127 feet of serene Little Muskegon River frontage. This 4 bedroom, 3 bath home has every upgrade imaginable with gorgeous hardwood floors, travertine tile, trayed ceilings and crown moldings, custom cabinetry, granite, stainless steel appliances, Generac whole house generator. There is a finished bonus room above the garage for that separate man cave or an office overlooking the pond. Tons of windows showcasing awesomeviews of the river or the pond. Underground sprinkling and stamped concrete patio. Cedar Trace Sub is the only area in Canadian Lakes that allows a second garage or pole barn! This is a must see home! Call today!